“Awesome!!! The best speed app on iphone” 5 Stars by kurtonic Speed Box is a Speedometer and GPS app for both your iPhone and iPad. It displays your current speed, distance, direction and altitude along with your top speed and average speed. 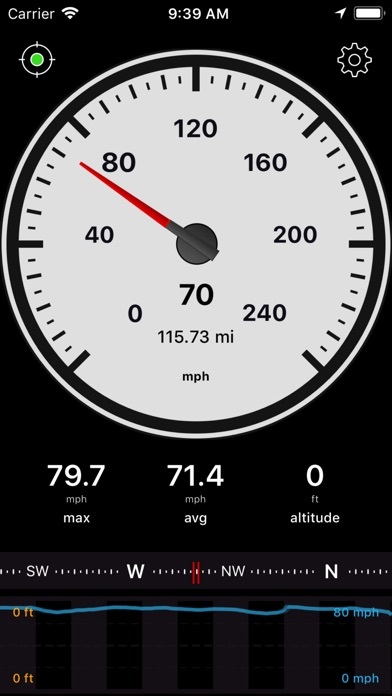 The app also keeps a record of the speed and altitude for the last few hours. MAIN FEATURES ======================== * MPH, KM/H and KNOTS * One app for both the iPhone and iPad * "Speak speed" - Tap screen to have the speed spoken to you * 11 Analog and digital speedometers * Map view * Maximum and average speed * Altitude * Digital compass * HUD display to see speed in windshield * Odometer to measure distance traveled * Chart of the traveled speed and altitude * Warning signal when driving too fast * Export last 3 hours of data * Change maximum displayed speed on speedometer * Swipe finger over chart to display historic data * Display GPS accuracy by tapping the indicator in the top left corner USER REVIEWS ======================== 5 Stars by Darekakuta "Just what I needed. My '58 chev's speedo doesn't work. This did the trick." 5 Stars by Rawd "Great My 79 Firebird speedo only goes to 140 kmh. ;). This worked perfectly." 5 Stars "Within 1 mile per hour +/- Great Job!" 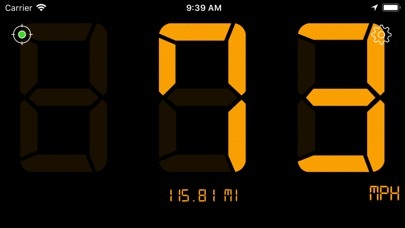 SpeedBox was one of the very early Speedometer Apps for the iPhone. Take advantage of my experience and the refined algorithms that can get a much greater accuracy from the iPhone then a lot of other apps. I regularly update my application to make it even more accurate and usable. 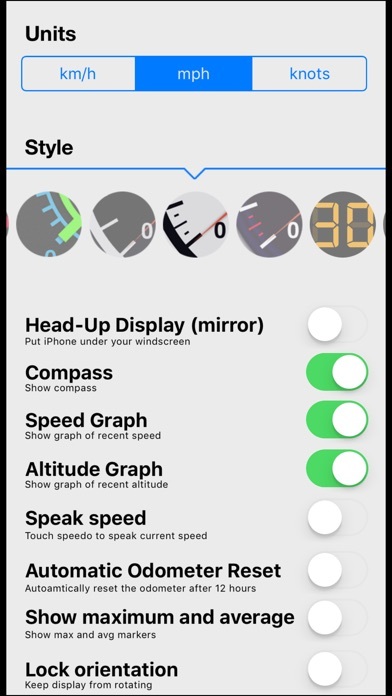 Users have already used our application to verify the accuracy of their car's speedometer or they tried measuring the speed they achieved while skiing. Can you come up with more ideas? How about measuring the speed of the airplane you travel with? USAGE NOTES ======================== The "GPS strength" indicator in the top left corner should display a green dot. You can tap this indicator to display the current GPS accuracy. Please allow the application up to a minute to find enough satellites to work correctly. If you get a message to enable GSP, please go to ”Settings > General > Location Services“ on your iPhone and check if the little switch is set to "On" for Speed Box as well as for "Location Services" in general. ATTENTION iPod touch users! Unfortunately this app doesn't work very well on the iPod touch and the iPad WiFI (without 3G) since these devices are missing a GPS! FEEDBACK ======================== If you've got any wishes or suggestions for new features, please let me know with the contact form on this application's website (see link below). I am already working on the next update! I cannot review this more than just fun. When I first downloaded it I did it because I was told how Greyhound drivers always speed. I was taking the bus to visit family and wanted to know how true this fact was. Turns out the two drivers I had did not speed maybe with gps tracking companies can see your speed, or maybe it was just fear of speeding tickets. The other thing I used the app for was when riding home one night a friends dashboard’s light burned out, so my friend being in his 80’s did not have a smartphone. I pulled up the app and it worked great for getting us home. Would I recommend this app. Depends on what you need it for. It does track miles about as well as any other gps app would. It also does speed pretty close, so it is not a fantastic replacement for a dashboard it can be used as a short term fix. The best thing I can say about the app is the max speed warning. If you have a speeding problem and go with the flow of traffic you can set the max speed you want to go and it will yell if you go over. Only problem is the setting does not change if you go from American miles to metric so it yells at you. I used the free version for years because it was so accurate, then all of a sudden several mo tha back something went wrong and the speed fluctuates all over the place. I just mistakenly paid $4 thinking I had by mistake erased it from my phone and it wouldn't charge me to redownload but no...I just paid $4 for the non free version of the same app that STILL doesn't work. I'll be driving set on cruise control and it will vary by more than 10 mph over a few minutes. USELESS! Oh, and by the way, there is NO support. It's a dead link. I recently had bought a used atv which was on a really high discount but the problem was that the speedometer was a piece of garbage. It didn’t work most of the time, it was very inaccurate when it did work, and it was very small so it wasn’t visible. So I was looking through the internet and saw this as the top rated on safari. I knew I couldn’t have it on my hands while driving so I bought the hook that grabs the phone, after that I was in awe, never had I been so happy that a speedometer on my phone actually worked. The pictures in this app are misleading. 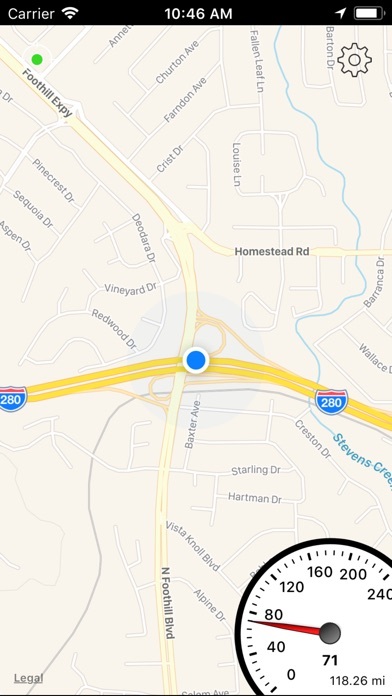 Be warned; you cannot have an active speedometer on your maps app with this app. All this app does is show where you are on a map and the speed you travel at without letting you navigate. Do not download this app. Waste of $4. Again, don’t use this app! Cool App. It really works, my bike is off 5 mph. It track total, maximum, average, current speed and elevation. Worth it! Great app, has never let me down!